SSI develops shipbuilding and offshore specific engineering solutions based-on Autodesk’s AutoCAD software, including: ShipConstructor software, an AutoCAD based CAD/CAM product line; and EnterprisePlatform, a tool for sharing product data model information. SSI solutions take advantage of the native DWG platform and the global pools of experience provided by the world's most popular CAD platform. 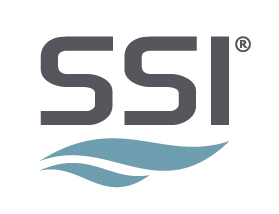 SSI combines this with industry specific standards, terminology and best practices. Expert consultation is also available to ensure real time engineering data passes effortlessly between applications such as MRP, ERP or PLM tools. Shipbuilders, naval architects and marine engineers trust SSI solutions on a broad range of projects. SSI solutions are flexible enough to handle the largest and most complex engineering challenges but can also be scaled down to be cost effective in any budget.